NASHVILLE, TN – The New York Times reported on January 29, 2012, that Food Network executive Bruce Seidel is moving to an unnamed YouTube channel for foodies. The channel will partner with Urbanspoon, a restaurant review website. This seems to be a trend with big talent. Well-known actors such as Will Ferrel, Jim Carrey, and Zooey Deschanel have contributed to Drunk History, a popular web series on Funny or Die. Friends star Lisa Kudrow starred in Web Therapy, a semi-improvised web series. The flexibility that web series allow is attractive to many people. In my home, my husband and I only pay for Internet service. We watch several TV shows, but we watch them online at our own pace. This fits our lifestyle better than scheduled television programming. Plus it’s cheaper than paying for cable TV. This shift of the way we entertain ourselves and the way we obtain news puts all our eggs in the Internet basket. Since the younger generations spend more and more time on the web, SEO is of utmost importance. The more time we’re on the computer and away from the television, the better your chances are to gain customers online through a powerful SEO campaign. With all the focus on YouTube and web videos, now’s the time to examine your business’s video strategy. Not all businesses need to post videos for their customers, but for some businesses, it makes perfect sense. 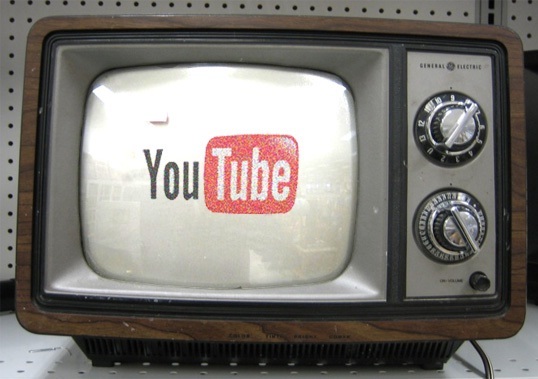 Using YouTube effectively can increase the visibility of your business. If you own a bar, uploading quality videos of your trivia nights can gain attention. If your customers know you have a YouTube page and that their faces may appear there, it could give them an incentive to follow your YouTube channel or frequent your website to see the updated video. Take your video content as seriously as you do your web content. Don’t make a video just because other people are doing it. Brainstorm what your business could offer its customers through a video that could be better visualized than read on a screen. Do you offer cooking classes? Maybe a short video on how to properly roast a chicken could benefit your potential customers. It’s possible that showing the warmth and originality of your chefs would entice people to sign up for a class. Instructional videos are especially useful, but entertainment also gets you clicks. Viral videos are all the rage. If you’ve got a clever idea for a cool video, partner with a filmmaker to see your idea come to life. As we mentioned before, title your videos accurately, imbed your videos to your website or blog, and consider including a transcript of the video to increase Google’s ability to crawl your website. Interesting and professionally filmed videos will look much better than a shaky video shot on your point-and-shoot camera. Quality is better than quantity. Combined with a professional SEO strategy, a strong video campaign can set you apart from the competition. In the SEO game, you have to stay fluid, ready for anything. Millionairium’s CEO and SEO expert Ali Husayni agrees. By producing videos, driving social networking, developing quality content, concentrating on search engine optimization, and giving customers a solid product, you should see more buzz around your business. But remember, a solid SEO strategy takes time, so stick with it, and keep on reading.